The progression to 5G networks will utilize a wide range of spectrum bands, including sub-6 GHz frequencies. 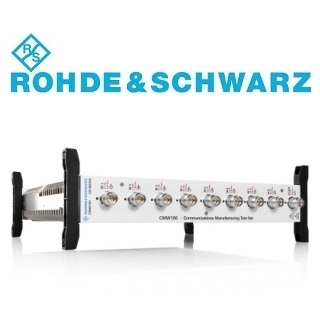 The R&S CMW100 communications manufacturing test set demonstrates Rohde & Schwarz capability to support 5G NR sub-6 GHz and will help accelerate the 5G ecosystem. Designed for testing and verifying mobile phones and other wireless devices, the R&S CMW100 supports carrier frequencies up to 6 GHz and RF bandwidths up to 160 MHz exceeding the current 5G NR 3GPP specification where each component carrier cannot be more than 100 MHz wide. In line with high throughput expectations, the R&S CMW100 can test up to eight antennas and/or devices in parallel and is ideal for use in fully automated robotic production lines. Supporting a wide range of methods for reducing test time and maximizing capacity utilization, the R&S CMW100 offers high measurement accuracy and performance. The test device can be installed vertically or horizontally with an open architecture that quickly integrates the latest computer technologies. It has a dustproof housing for high reliability and is fanless for silent and cleaner operation. 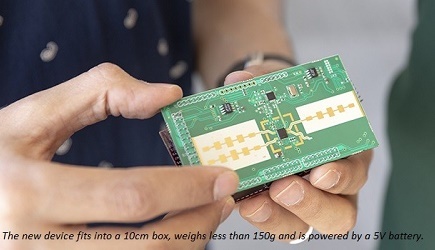 In addition to sub-6 GHz 5G NR devices, the flexible testing solution is suitable for other wireless standards supporting legacy radio access technologies such as GSM, WCDMA as well as LTE, WLAN, and Bluetooth. This makes the R&S CMW100 a cost-effective solution for mass production of both cellular and non-cellular wireless connectivity devices calibrated and verified in non-signaling mode (analyzer/generator). Manufacturers of handsets and devices will profit from a variety of measurement functionalities with a single investment in equipment, training and adaptation costs. Rohde & Schwarz is showcasing the R&S CMW100 at Mobile World Congress Americas 2018 in Los Angeles from September 12 to 14, 2018, hall South, stand S.2814.